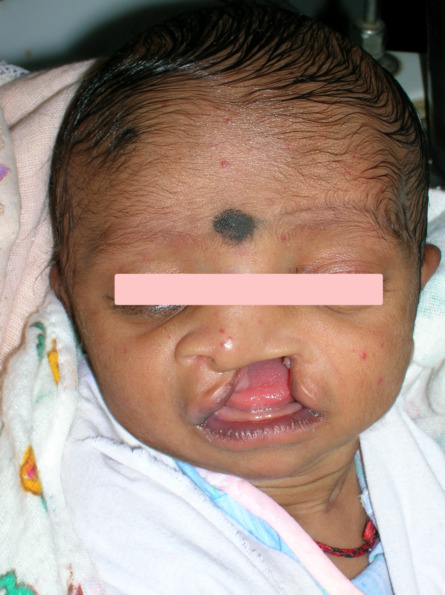 Cleft Lip and Palate are one of the most common congenital deformities seen at birth. It is congenital abnormal gap in the palate that may occur alone or in conjunction with lip and alveolus cleft. 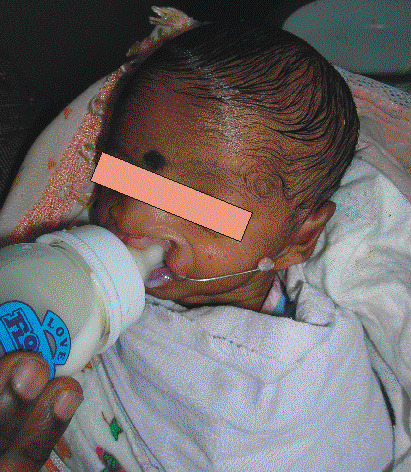 Parent reported with infant complaining of facial deformity, unable to feed because nasal regurgitation of fluids, infant was undernourished and below average weight. Also, there was risk of aspiration of liquids causing fatal medical consequences. Measurements were made for the defect and feeding plate was made. 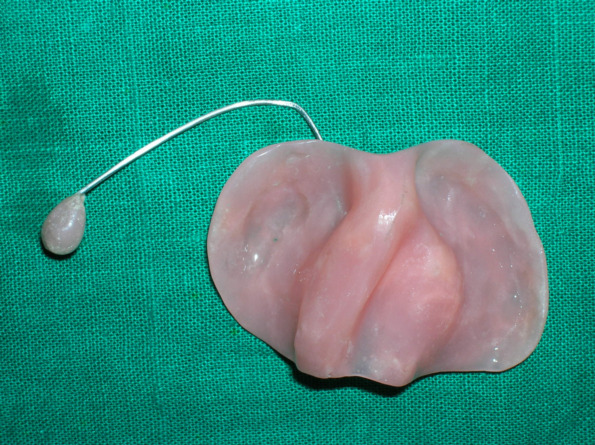 After placing the plate in infant’s oral cavity, feeding was possible without regurgitation of liquids during feeding; so no risk of aspiration.